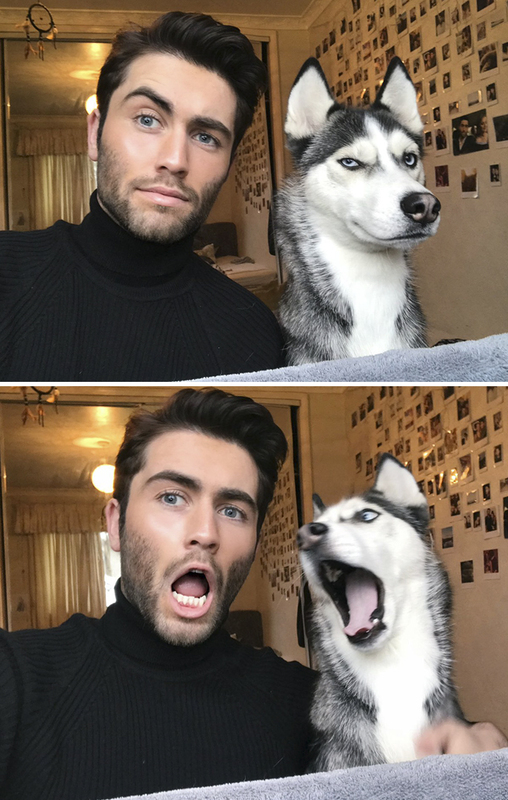 It all started when Liam Rice, 24, from the Isle of Man, tweeted out a series of selfies with his charismatic husky Luna, who has a habit of copying his facial expressions. People loved the pics so much that they decided to try the same with their own pets, and a trend was born. “Going viral has just been so bizarre, Liam told Bored Panda. 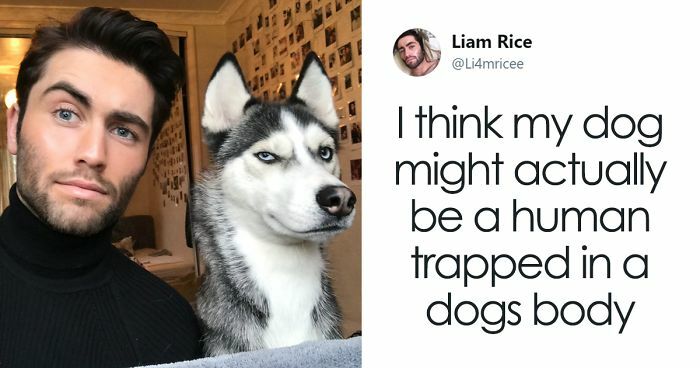 “Usually you see people go viral for actually doing something productive, but all I did was take a picture with my dog and I woke up the next day to a frozen phone (from the notifications). It’s been so lovely though to read all the positive comments and seeing other people with their dogs! For those who have never heard of the Isle of Man, it is a small, wild island located in the Irish Sea, between Great Britain and Ireland. Known for its fascinating history and culture, insane motorcycle race and status as a tax-haven, it is an interesting place to live. “Life on the Isle of Man is beautiful, I am happy here and it is my home,” Liam told Bored Panda. 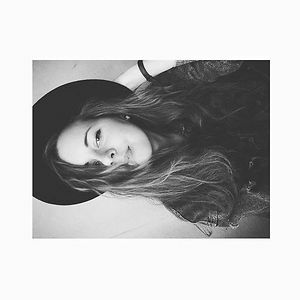 “Although sometimes I do feel detached from the rest of the world at times! It can be hard to find someone to settle down with as I am limited with the amount of people on the island! Well Liam’s tweets have definitely connected him with plenty of people, with over 200,000 retweets and thousands of people joining in the fun! Scroll down below to check out a few of the best so far, and don’t forget to upvote your favourites! You can also check out Liam's Instagram here. Here they are again. They're a very matching couple! So cute. Now THAT guy is a dog person! Actually my favourite so far. Love the scrunched up face. Obviously these two are meant to be together. can see the love. Do we bark at it or not? "AHHH! I DON'T KNOW WHY I'M SCREAMING BUT THIS IS FUN SO IMA CONTINUE!" Dog has the best smile. Someone took this look a little too far and I ain't saying who. The dog looks as happy as she is! If I was 20 years younger I would so move to the Isle of Man and do my best to make sure he wouldn't get lonely. They ain't kidding with the phrase: "Some dogs look exactly like their owners." Gosh ! He's handsome. @the guy with the husky pair.